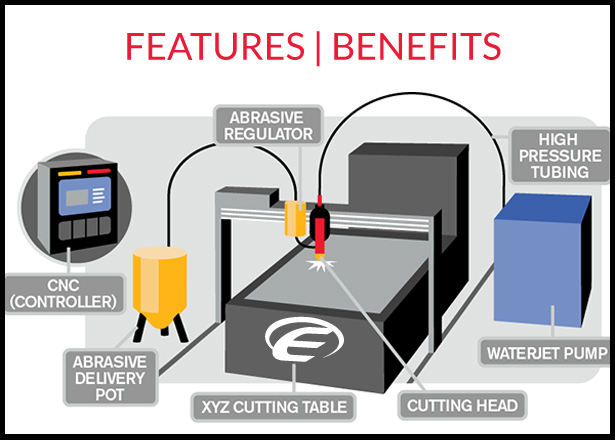 Waterjet cutting is an erosion-based process that uses extremely high water pressures – 4137 bar (60,000 psi) or higher – to cut material. Used with or without an abrasive, waterjet systems excel at very precise cutting of a wide range of material, with no heat-affected zone. Thanks to Swift-Cut, it’s never been more affordable or achievable to own a water-jet cutting system. Waterjet technology produces excellent fine-feature cut quality with low edge taper, no heat-affected zone, a narrow kerf, and dross-free cutting. It also offers the ability to process nearly any material and a thickness range capability unmatched by other cutting technologies. 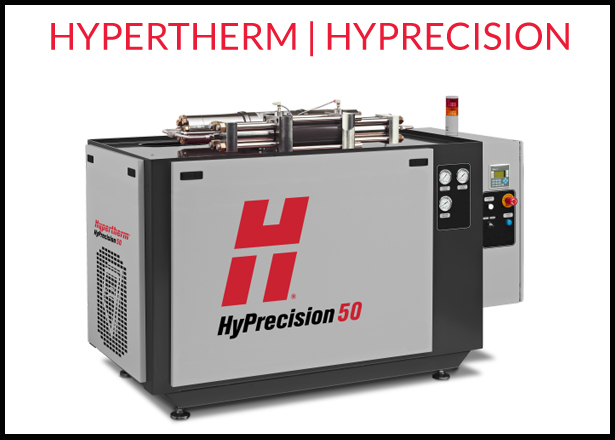 The Swift-Jet machine with its easy to use software and powered by Hypertherm HyPrecision pumps provides high sector leading cutting on a wide range of materials at a low-cost investment. Easy to use with exceptional aftercare and support, the Swift-Jet is the answer to affordable, high precision, high quality in-house cutting. 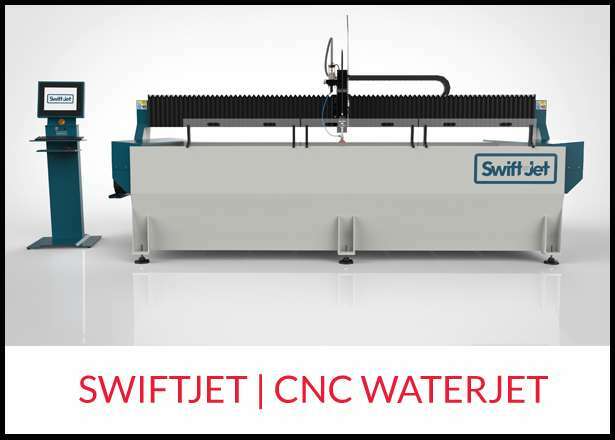 Swift-Jet is our new, affordable and easy-to-use waterjet profiling solution. Offering precision cutting and superior build quality, this smart machine can be used to cut textiles, rubber, foam, plastics, leather, composites, stone, tile, metals and much more. Our machines are calibrated using the very latest Renishaw ball bar testing equipment, ensuring outstanding dynamic positioning and repeatability. Align the cutting path with misaligned sheets on the cutting bed.